"She is smart, reasonable and great to work with. She has a depth of knowledge on health privacy that is hard to find." 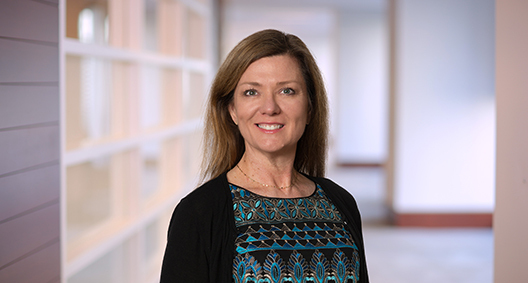 With more than 20 years of working with healthcare industry clients, Lynn Sessions focuses her practice on healthcare operations and regulatory work, with an emphasis on healthcare privacy and data security, breach response, and Health Insurance Portability and Accountability Act (HIPAA) compliance. Having previously served as in-house counsel and director of several departments at a nationally ranked children’s hospital, Lynn collaborates closely with healthcare clients and approaches her legal representation from a client’s perspective. Lynn is a frequent speaker on a range of topics affecting health industry clients, including HIPAA compliance, data breach response, cyber and network security, enterprise risk management, the Emergency Medical Treatment and Labor Act (EMTALA), handling adverse patient events, and insurance and risk financing. Lynn is also a regular contributor to BakerHostetler’s “Data Privacy Monitor” blog, available at www.dataprivacymonitor.com, as well as the Health Law Update. Has handled more than 550 healthcare data breaches, including several of the largest breaches reported to date. In her representation, provides counsel to healthcare providers and other covered entities on breach analysis; breach response; crisis management with patients, media and employees; and regulatory notification obligations to the Office for Civil Rights (OCR) and state attorneys general. Regularly advises hospitals on EMTALA. Conducted an audit of a top children’s hospital’s risk management department and advised on departmental and operational changes for improved function within the hospital. Has responded to more than 250 post-breach investigations from the OCR and state attorneys general arising from large and small data breaches reported by covered entities, and has successfully defended healthcare organizations in these investigations. Represents educational institutions regarding data breaches, including breach analysis, breach response, crisis management and regulatory reports. Advises clients on HIPAA compliance, including preparation of policies and procedures, notice of privacy practices, business associate agreements, and incident response plans. Works with healthcare organizations post-data breach to strengthen safeguards under HIPAA and implement corrective action plans. Advises with large non-healthcare employers on HIPAA issues for their self-insured health plans and with on-site provider clinics on HIPAA compliance, including policies and procedures, business associate arrangements, and sharing of employee information. Develops and enhances credentialing and peer review processes for hospitals and physician groups. Advises hospitals and large physician practices on informed consent, release of patient information, affiliation agreements and privileging of peer review and quality review activities.